Access to source code makes it attractive for custom applications, but gaps remain in the tool flow and in software. 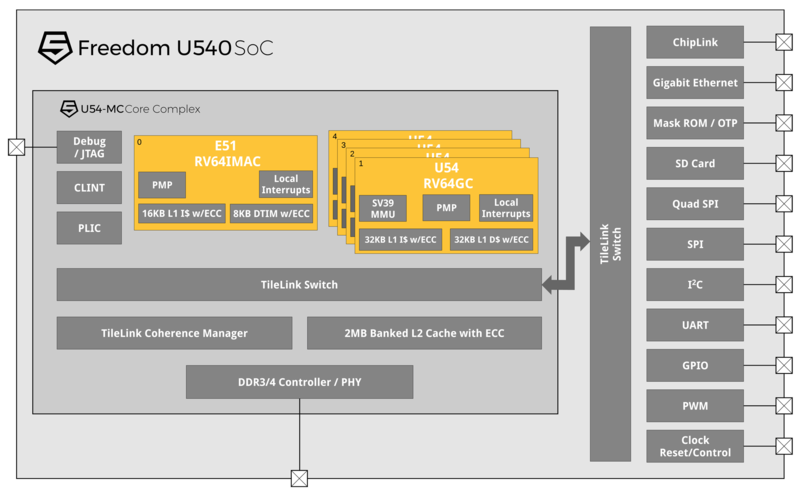 RISC-V is pushing further into the mainstream, showing up across a wide swath of designs and garnering support from a long and still-growing list of chipmakers, tools vendors, universities and foundries. In most cases it is being used as a complementary processor than a replacement for something else, but that could change in the future. What makes RISC-V particularly attractive to chipmakers is its open-source roots. Developed at UC Berkeley at the beginning of this decade, the RISC-V instruction-set architecture (ISA) is available under a Berkeley Software Distribution license, which allows widespread distribution of the design with minimal restriction. That works particularly well for startups developing prototypes, but it also works for highly specific applications such as a security co-processor because the source code can be tweaked. In addition, it plays well in markets such as China where where there is a national effort to reduce the trade deficit in semiconductors, as well as the cost of IP in those chips. Most proponents readily admit that RISC-V still has a long way to go before it becomes a serious threat to established processor cores in the market. It takes time to develop software and microarchitectures for specific applications, and the RISC-V Foundation has only been in existence since 2015. All of this makes the architecture an interesting choice for a co-processor, but not necessarily the primary processing element in a commercial design. In fact, it’s not clear RISC-V will ever actually displace some of the leading processor architectures. But it certainly is finding a home alongside those established processors, a role that will only grow as the RISC-V architecture and software mature. Arm, MIPS, Synopsys (ARC) and Cadence (Tensilica) have been successful in promoting their own ISAs, along with a full suite of tools and software, but they discourage extension of those architectures. ARM and MIPS have dominated the mobile and networking markets with their processors. In addition, each has a focused ecosystem and OS/middleware preferences. On the other hand, he pointed out that RISC-V is designed to be extended, and the ecosystem is growing with commercial tools to assist in the design and verification of these extension. RISC-V adopters are targeting emerging markets such as AI, ML, and IoT that have not yet established OS or middleware preferences. He said there are numerous market segments for each of these architectures. But vendors also will be competing on the merit of their solutions in whatever part of the RISC-V ecosystem they play in, whether that involves IP, software tools or EDA. Not everyone agrees. Dave Kelf, chief marketing officer at Breker Verification Systems, said some people on the RISC-V Foundation see the RISC-V effort as directly competitive with Arm. For some engineering groups, the promise of customization attained with an RISC-V-based processor is attractive, and many people are using RISC-V to replace internal proprietary accelerators so that they can leverage the software ecosystem because RISC-V is highly extensible. These accelerators generally are hidden from the user while the Arm cores are what is exposed to the software developers, he noted. It works the same for hardware security. Open-source hardware is considered more secure because it is developed by more people for more end applications. Other companies such as Andes and Codasip are providing RISC-V-based cores, and are keeping their business model the same—they’re licensing a core and a development environment, but because they use a common ISA they can leverage that investment from the rest the world and achieve critical mass, Baines said. Indeed, most SoCs that do not have just one core in them tend to have larger multicore application processors (such as Arm or MIPS) running the main OS, such as Linux, with smaller ‘minion’ processors (such as Andes, or other RISC-V cores) around them running RTOS and other kernels, or bare metal, to accelerate the application’s performance, Davidmann said. For RISC-V to really take off on a commercial basis requires tooling and software, as well as an understanding that future SoC designs will be increasingly heterogeneous in terms of processor ISA, IP vendors, and the software stack. Also needed is a consistent way to test compliance of RISC-V based processors, not including extensions, and to acclerate functional verification of systems that contain some RISC-V technologies, said Mentor’s Hand. SiFive, for its part, believes the cost of developing complex chips is so high today that it is unhealthy for the chip industry. There are software challenges to heterogeneous systems, as well, which have yet to be resolved. “Historically in heterogeneous systems, the problem is most tools have been designed to cope with an open architecture, so you end up with a collection of silos and then you’re toggling between different incompatible environments where each one is specific,” Baines said. For users that want to adopt RISC-V now, choices are limited. This will change as IP and tool providers develop solutions. On top of that, there are issues around patents as an architecture is adapted for a particular market. There leads to challenges involving IP protection and patent infringement. On the flip side, it becomes harder to safeguard IP when there are huge numbers of derivatives based on the instruction-set architecture. While RISC-V continues to gain traction, there are gaps in the tools and software, as well as risks involving any customizable architecture. That may limit how and where RISC-V is used in designs, at least in the short-term. But there are enough market incentives and opportunities that will make this an interesting technology to watch in coming years, particularly as the chip world increasingly leverages architectures as the best way to turn up performance and lower power, rather than relying on increasingly dense implementations of the same processors. But working with this architecture has some not-so-obvious pitfalls, and new tools licensing options may be necessary. A CPU that is connected to a memory where data and instructions are accessed one at a time and each piece of data is loaded or stored one at a time. Each of two operands have to be loaded and the arithmetic instruction has to be fetched. The two operands are processed then a store instruction has to be fetched to store the result. Oh the cache takes care of that! WELL they didn’t tell me that a complete memory system is needed for each of my heterogeneous RISCs. And each new instruction that I add requires a modification to the compiler to support that new instruction. Now the compiler has to be re-verified as well. Are these people crazy, or just don’t know how computers work?